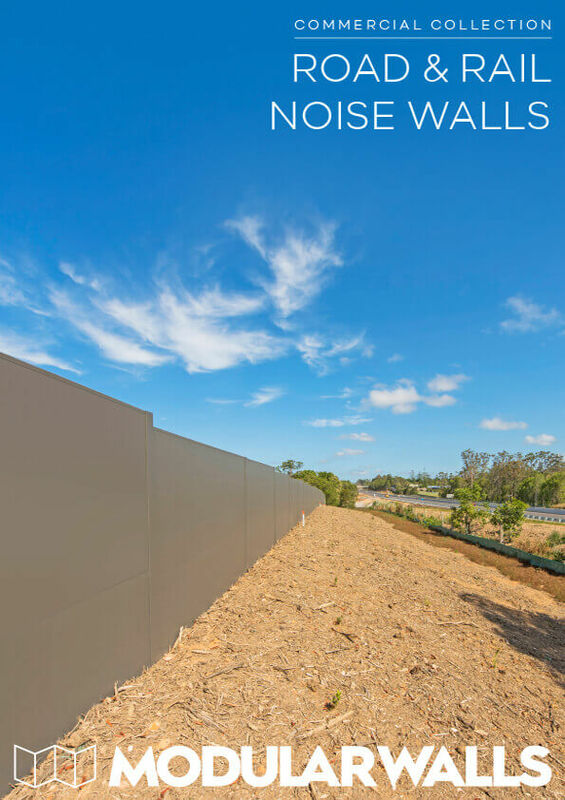 The AcoustiSorb is a simple, effective and aesthetically pleasing noise wall panel that is custom-designed to meet some of the toughest acoustic pollution challenges that clients are likely to encounter in transportation and industry. 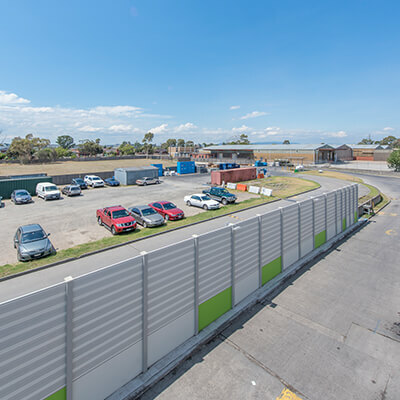 The robust, lightweight design of the AcoustiSorb makes it ideal for sound insulation purposes in noise-intensive environments such as road and rail corridors, as well as businesses that make extensive use of loading docks, heavy machinery, HVAC units or large-scale generators. 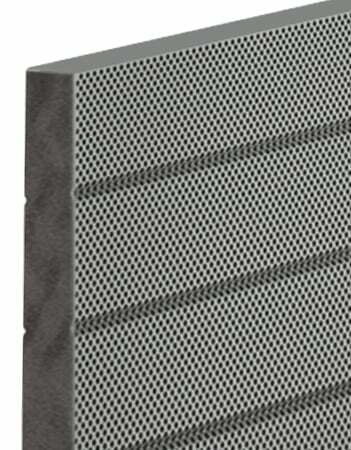 The perforated aluminium face of the AcoustiSorb panel enhances the ability of the core material to absorb sound waves, enabling it to achieve an NRC rating in excess of 0.9. 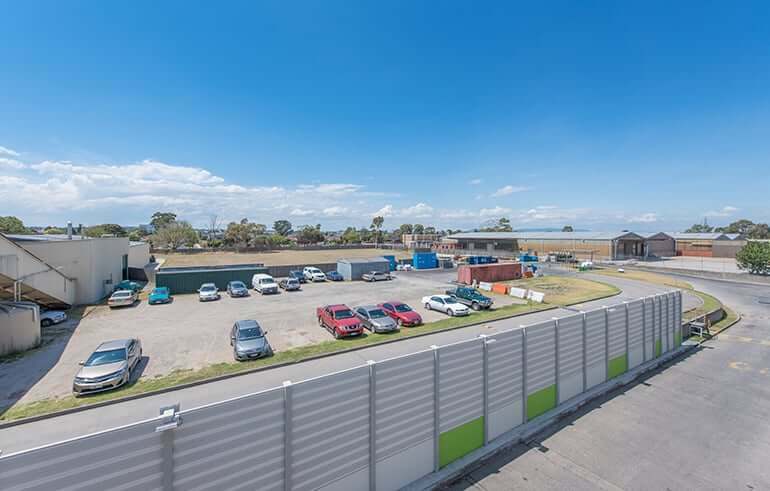 In addition to improving its noise abatement capability, the AcoustiSorb’s pre-finished aluminium body also dramatically improves its resilience, giving it a design life of at least 50 years, and removing the need for exterior rendering or finishes. 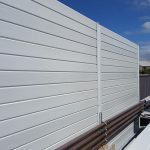 The cores themselves are comprised of recycled plastic waste, making the AcoustiSorb one of the most sustainable and environmentally friendly acoustic barrier systems on the market. 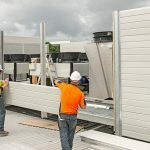 The noise abatement capabilities of the product can be further improved via adjustments to the thickness of the cores, as well as the addition of acoustic planks that further raise their density. 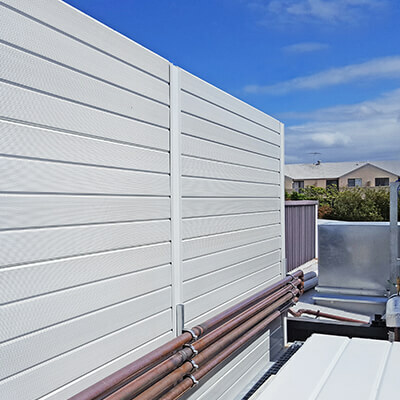 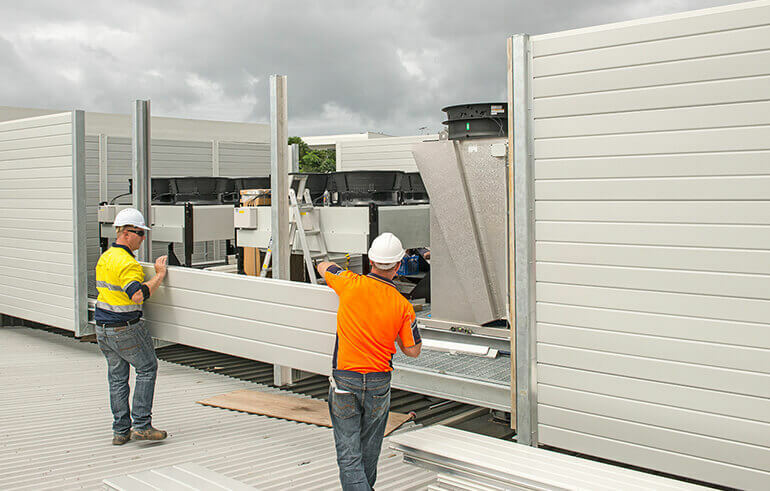 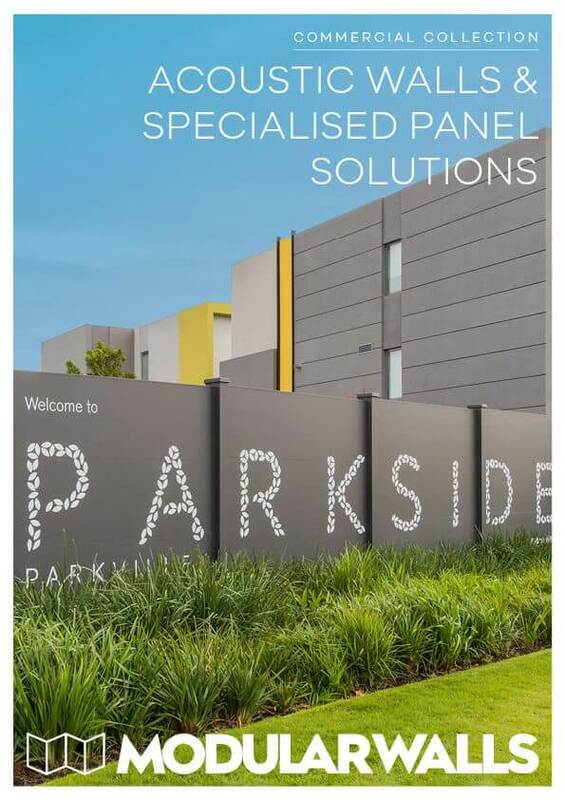 Because the panels are delivered as a modular unit, they are far easier to install than other perforated noise wall solutions that are constructed on site. 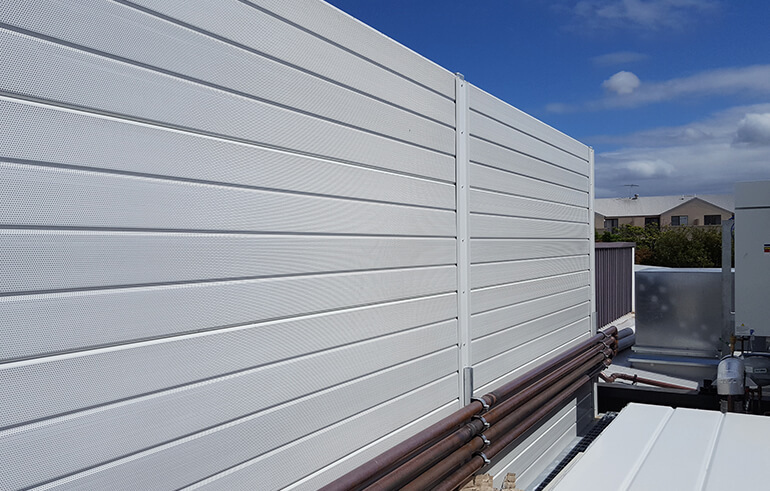 Builders only need to screw the AcoustiSorb panels into ceiling or walls, or slot them in between posts, in order to create complete and effective noise barriers. 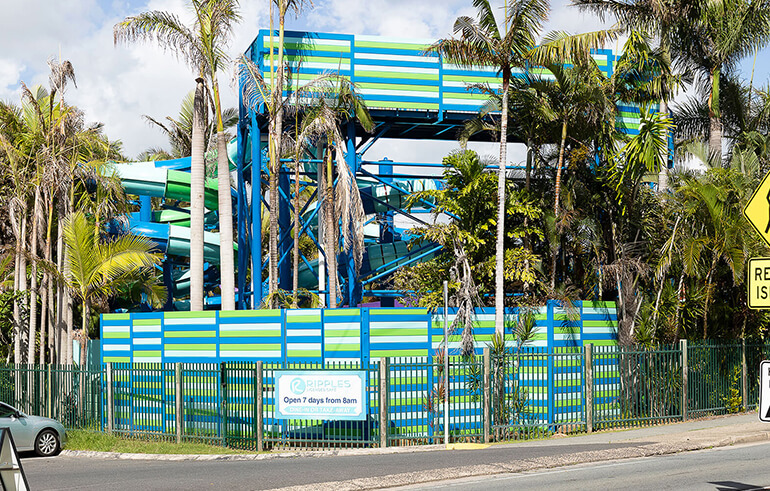 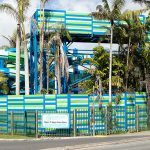 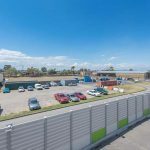 The Gold Coast region that has become the latest target for infrastructure upgrades ahead of the Commonwealth Games, now boasts a highly sought after neighbourhood shopping development spearheaded by the Coles Group Property.